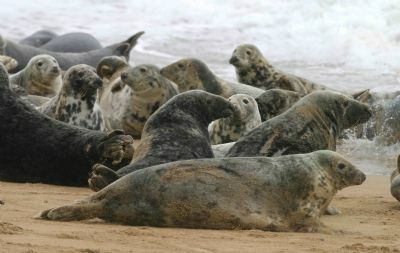 The Moray Firth is full of life! Welcome to the Dolphin Space Programme website. The Moray Firth in North East Scotland really is bursting with life; dolphins, whales, seals, seabirds, otters and even sharks are just some of the wild life you can see here, making it one of the best areas in the UK for nature enthusiasts. If you want to experience dolphins and other marine animals wild and free in their natural environment you have come to the right place. 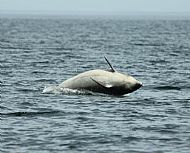 On this web site you can find information to organise a fantastic, eco-friendly dolphin and wildlife watching trip in the Moray Firth. See the contacts page if you require more information. If you wish to report a suspected wildlife or other crime please phone the Police on 101 (Non emergency number). To remain anonymous contact Crimestoppers on 0800 555 111. Here are some of the pictures sent in from Ecoventures and Phoenix cruises in 2013. Hopefully this next season will be just as good . July: A jet ski user has had their vehicle seized by police after allegedly disturbing dolphins. The incident occurred in the channel between Inverness Harbour and South Kessock. Police Scotland said they had seized a jet ski in connection with the reported wildlife crime in the highlands. Officers are appealing for witnesses to the incident. The full news release can be read online at http://news.stv.tv/highlands-islands/231449-inverness-dolphins-disturbed-by-jet-ski-user-near-south-kessock. June 2013 : Good news from Charlie Phillips as he checks of most of his 6 adopted dolphins so far. May 2013 : As a new season starts, check out the updated list of accredited tour operators here. 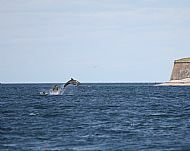 The local Bottlenose dolphins are featured in the current SNH edition of "The Nature of Scotland" justifiably billed as the Stars of the Moray Firth. You can check out Kenny Taylors report with fabulous photographs here. On the subject of photographs, congratulations to Charlie Phillips on achieving the well deserved Scottish Nature Photographer of the Year 2012. Many of Charlie's photographs can be seen on this site.